I always try and see some exhibitions when I visit a place. Annoyingly on my recent trip to NYC I was there just a tiny bit early for some of the exhibitions that I wanted to see. But I did go to the FIT museum and see their current exhibits. 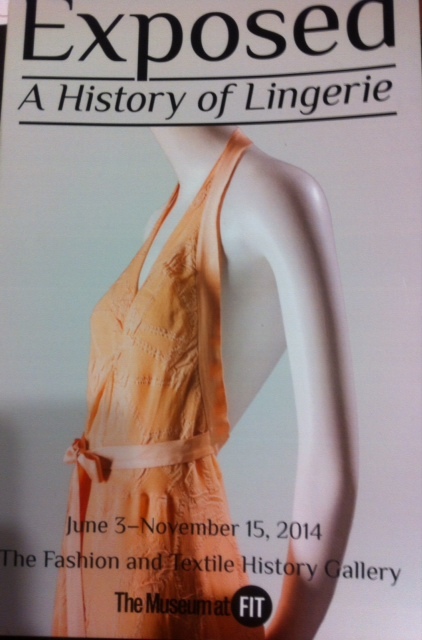 This exhibit was on the ground floor and takes you on a tour of lingerie from Circa 1770 right up to 2014. One of my favourites was this loungewear set from Regine Brenner (1939) and this 40’s lounging robe from Jay Thorpe. I’ve always loved the concept of loungewear and I need to get me some lovely looking lounge wear! Have a little read of the New York times look at this exhibition: A short discussion on the subject matter & the issues raised by the changes in lingerie over time. In the basement of the building is a large exhibition space. Here they hold some large fashion exhibits and this dance and fashion exhibit was no exception. 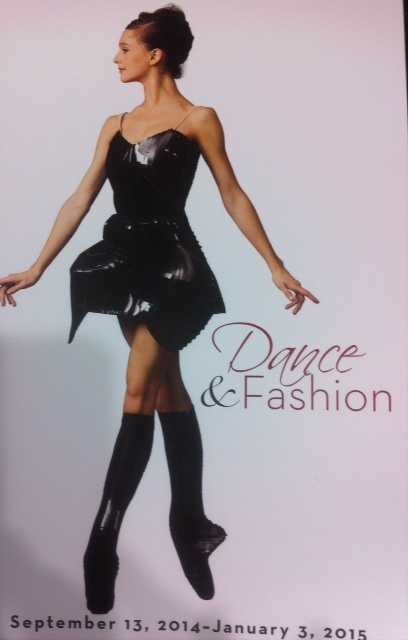 They had a huge range of themes to show the correlation and link between fashion and dance. There was a mix of mens and women’s wear and accessories. Some of the clothes on display are fashion pieces inspired by dance – for instance some recent pieces from Ralph Lauren and Lady Gaga’s Point Shoes by Noritaka Tatehana for the Gaga video Marry The Night. Other pieces are dance costumes worn for certain productions and were designed by a fashion designer. For example there was the work by Iris Van Herpen for the 2013 NYC ballet Never Where. Read a little about the Iris Van Herpen’s development of the designs on The Cut. 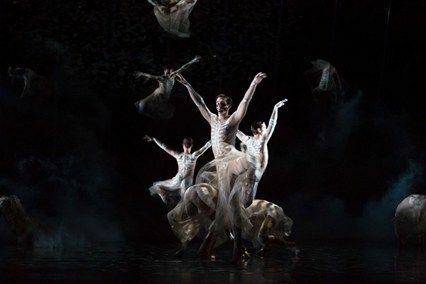 One of my particular favourites were the costumes by Riccardo Tisci (the creative director of fashion house Givenchy) for the Opéra de Paris ballet production Bolero in 2013. I loved the way the fabric would move around with the dancer and also had a feeling as if the dancer is naked. The costumes are heavily embroidered which is beautiful. They evoke skeletons or tattoos for me which brings a dark edge to the romantic soft skin tones of the costumes. See on Vogue some pictures of a sketch, the costumes on stage and the costumes in fittings. If this has sparked your interest and you have easy access then it is well worth a visit. You can’t really go wrong with a free exhibition of this caliber! 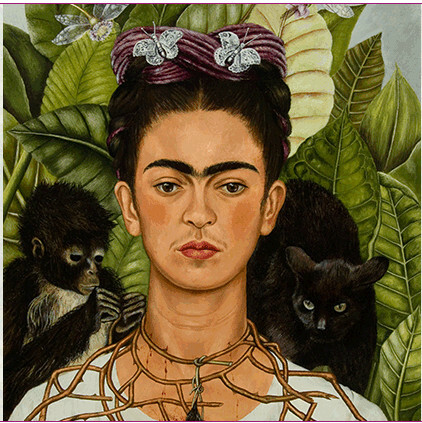 Take a look at the other current and upcoming exhibitions in NYC, London and Paris. Categories: Galleries and Exhibitions, Out Of Office | Tags: ballet, clothing, Exhibition, Fashion, Lingerie, NYC, Womens Wear | Permalink. Fill your diary with Art and Fashion exhibitions!! 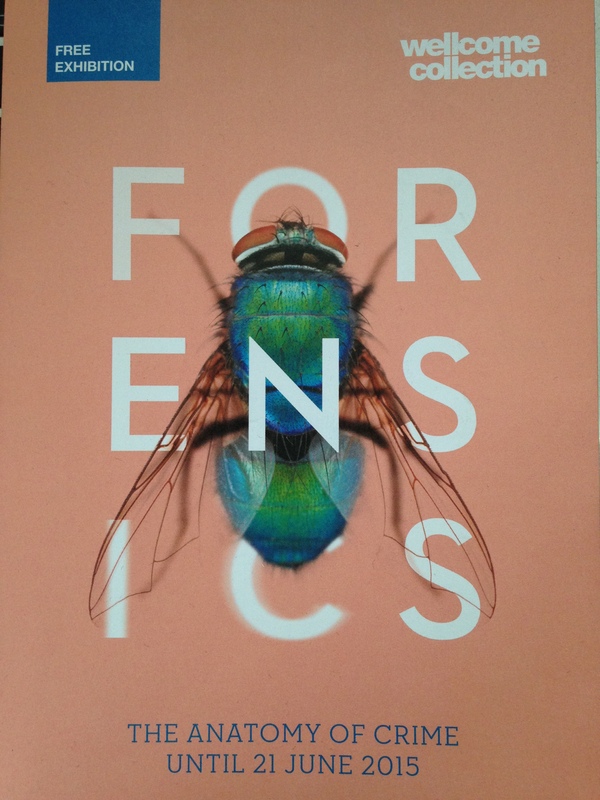 This is updated with some great upcoming exhibitions including the not to be missed McQueen…. 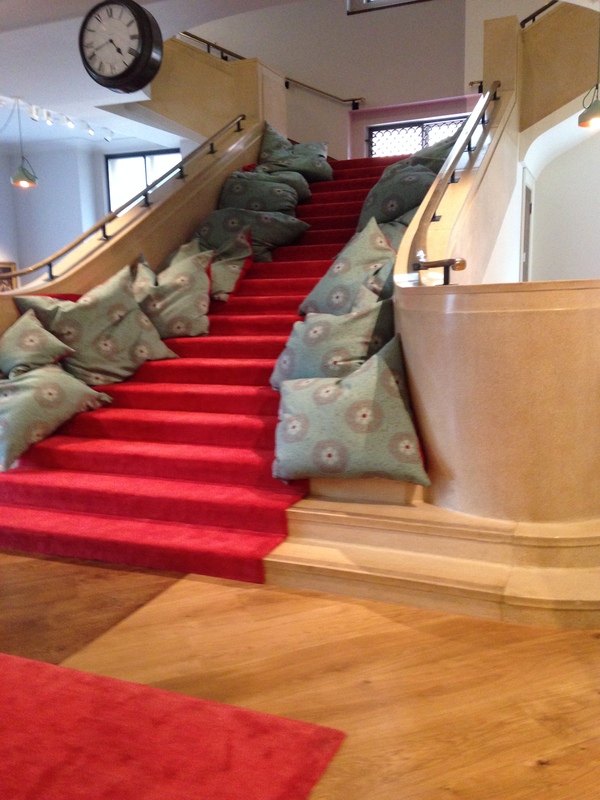 (19th September 2014 – 18th January 2015) – Fashion and Textile Museum: This looks like another good exhibition from the Fashion and Textile Museum. It’s on my personal ‘go-to’ list. Horst: Photographer of Style – V & A (6th Sept 2014 – 4th Jan 2015) – A retrospective of Horst’s work (photography) – I’m excited about this one! Wedding Dress 1755-2014 (3rd May 2014 – 15th March 2015) – V&A: If you are interested in bridal wear and the way key designers have treated this subject. I managed to see both the FIT exhibitions above. Take a little look at my favorite bits here. 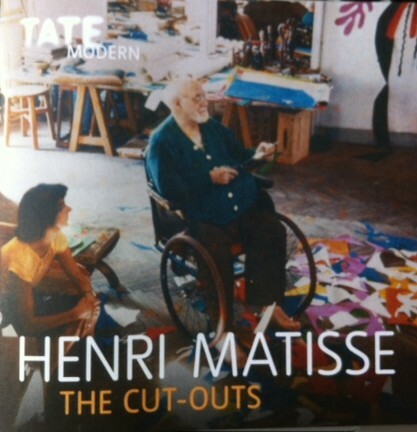 If you didn’t make it to London to see the fantastic Henri Matisse art exhibition or the Jean-Paul Gaultier Fashion exhibit but New York is more convenient. You are in luck because they are both heading your way in October! Death Becomes Her: A Century of Mourning attire – MET Museum (October 20th 2014 – February 1st 2015) This sounds fabulous. The title is borrowed from the 1992 film. Which I remember enjoying a lot at the time! It has Goldie Hawn and Meryl Streep in it – a must see if it past you by! Rembrandt The Final Years (15th Oct 2014 – 18th Jan 2015) – Bringing together 100 works from museums across the world – showing is creative work in the final years of his life. Alexander McQueen: Savage Beauty – The V&A (14th March – 19th July 2015) – This is a must see exhibition. I loved it when I was lucky enough to see it NYC. I may even see it again whilst it is in London! I’m so pleased it has made it across to London where it belongs!! Categories: Galleries and Exhibitions, Out Of Office | Tags: 2014, Art, Exhibition, Fashion, knitwear, London, NYC, paris, photography, Textiles | Permalink. Although I spent the majority of the time feeling sick, I recently enjoyed a trip to NYC. Whilst my design studio has been packed up and moved (more on that another time) I took the opportunity to get away. I often do blog entries about upcoming exhibitions and current galleries to visit. 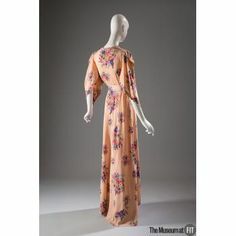 One of these I listed was the Charles James:Beyond Fashion exhibition at the Met Museum in NYC. As I was in NYC I thought I really must go and see it. I must admit that the only knowledge I had of Charles James’ work was his ball gowns in Cecil Beaton’s photographs (like the one below). But it turns out that Charles James is a designer I should have known more about. A very interesting designer and creative man. I was left feeling a bit guilty that he is not so well known as Dior and Chanel. 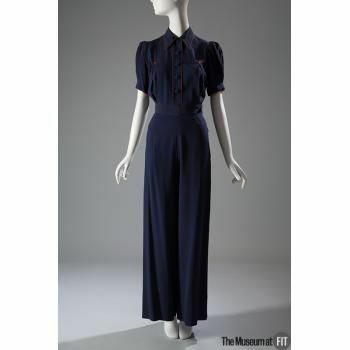 Christian Dior called Charles James “the greatest talent of my generation” and his work was admired by other designers such as Paul Poiret, Coco Chanel, and Cristóbal Balenciaga. He is basically the first American Haute Couturier (almost Haute Couture – see this blog for a great description of the true meaning of Haute Couture – the mis-use of the words is one of my pet hates). Back to the exhibition and how absolutely fabulous it was. There are two parts to this exhibit. The first one you see the actual toiles in calico and a range of ball gowns. 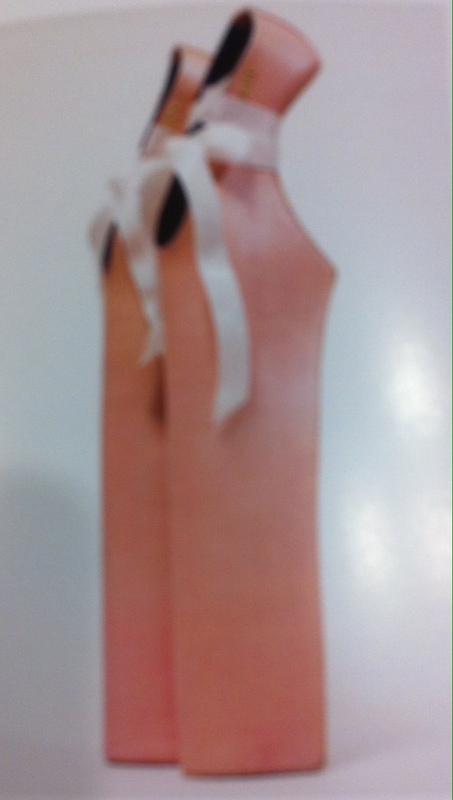 Charles James actually had the foresight to save his toiles for future designers/students to see. This in itself was very interesting for me and I would have loved to see more of these. It would have been amazing to have been able to see these more closely. Then you go into a huge room. This room has low circular stands and on each circle stood a ball gown. This simple idea was exactly what I want in every fashion exhibition. To be able to walk around each ball gown 360 degrees, see the fastenings, see the back details and the front details. It is perfect. The curators Harold Koda and Jan Glier Reeder should then get an extra star for the idea of the cameras. Each ball gown had a camera next to it which showed an x-ray of part of the garment on a screen next to it. The screen also showed an outline of the garment and peeled away each panel of the dress to show how it was constructed. For the work of Charles James this was particularly important as each dress was very architectural and creatively constructed. On the face of it a dress might have seemed chic and simple but underneath to create the desired shape the dress was cut, layered and structured in all sorts of ways. The exhibit unveils amazing facts about the pieces. For instance the Swan Ballgown (1954) was made from 1058 square feet (100 square metres) of tulle. The skirt consists of 6 layers and the dress weighs 12 pounds / 5.44 kg). See the image below of the “Swan” and if you head to the Met website here you can see the original pattern pieces for the Swan Ballgown. The second room which is in a completely separate part of the museum focused on Charles James dresses, suits and coats. 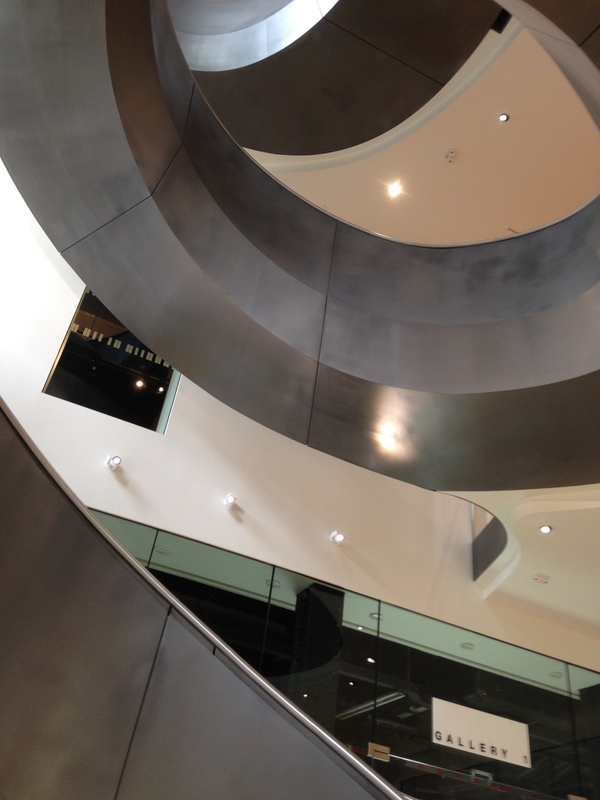 This is the new fashion exhibition space: The Anna Wintour Costume Center’s Lizzie and Jonathan Tisch Gallery. Charles James was still very creative with the clothing patterns and construction. I would have loved for each of these to have had separate circular stands and individual cameras like the ball gowns but instead they were placed on a cross shaped platform. The backs of the garments were projected onto the walls so you still go to see both sides of the garments – it was just a bit harder to see and less spacious due to the amount of people. Then there were two very large screens displaying a rotating film about a selection of the garments in the room and how they were created. What an exhibition and what an amazing designer. The exhibit is only open until 10th August 2014. So it’s quite a short run for such a high profile exhibition. If you can’t make it to the exhibition then take a look at the Met website. Here they have some videos – Watch the First Lady Michelle Obama’s speech and cutting the ribbon for the opening ceremony of the exhibition and the new Anna Wintour fashion exhibition space. 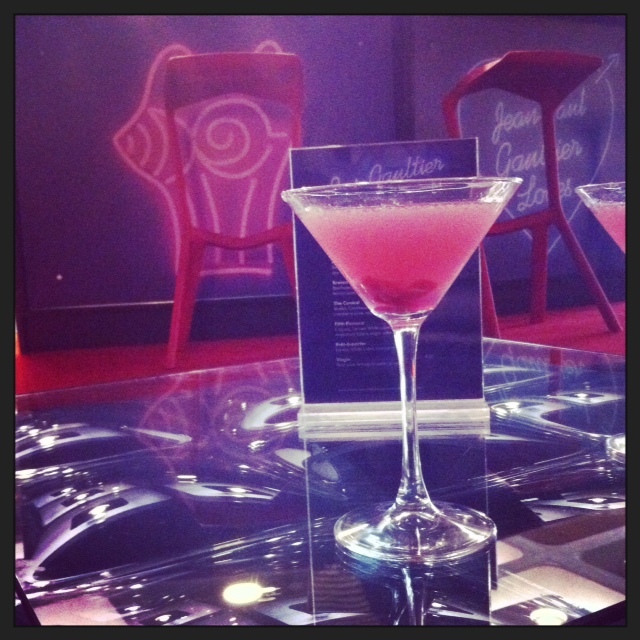 Take a look at some images of some pieces in the exhibition. The Met website is a great resource. You can search their online catalog for various fashion designers and see the various pieces they hold in storage. Click on this link to head to there website where I have done a search for Charles James. 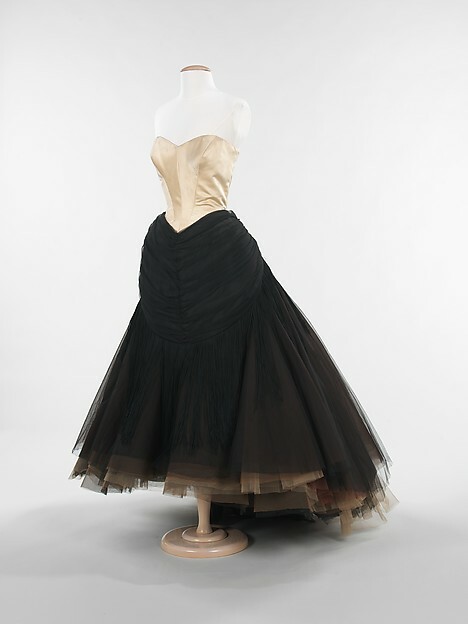 Categories: Galleries and Exhibitions, Out Of Office | Tags: Ball gown, Charles James, designer, Exhibition, Fashion, Haute Couture, NYC | Permalink.